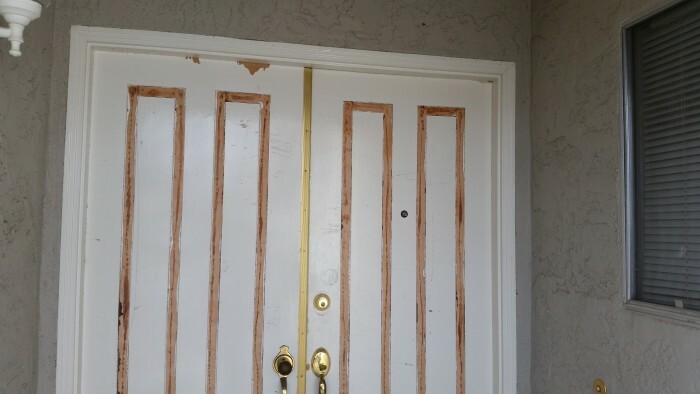 The first step was to remove the four raised rectangles from the door in order to create a smooth surface to begin adding to. Next the door was sanded down and prepped to prepare to add the new paneling. 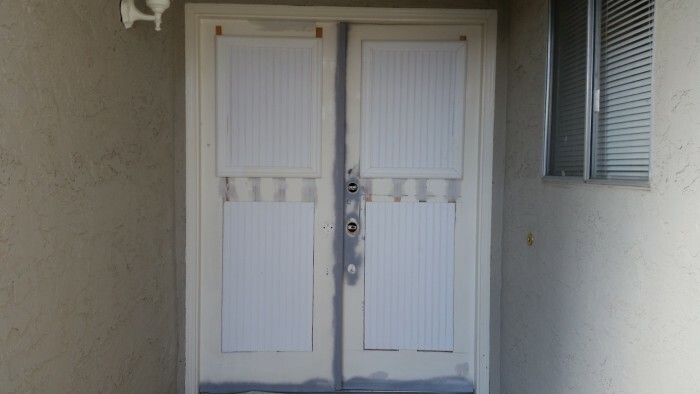 The new custom paneling was then added and the door was primed. 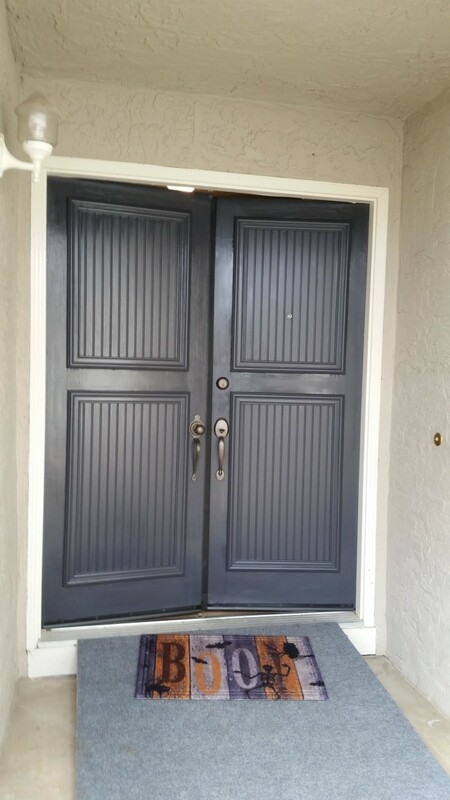 To finish the door two coats of high quality paint was sprayed and hand painted. 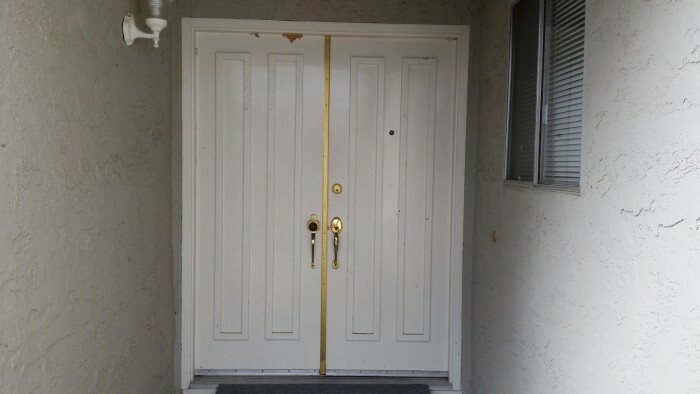 To ensure that the door withstands the climate and constant use varnish was also applied. There's lots we need to know in order to give you an accurate quote and avoid additional, surprise costs later. Jennifer will call you back to get details, but tell us what you know such as rooms, square footage, etc. Please stay tuned for a call from Jennifer! 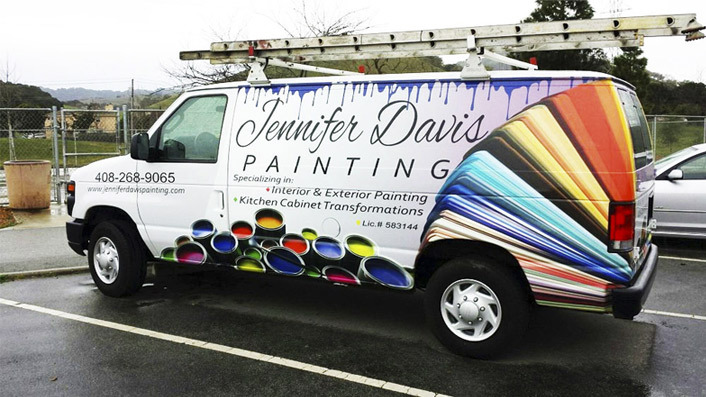 Or call Jennifer at (408) 726-2725 and let's talk about home and commercial painting, cabinet refinishing, faux finish painting, color or whatever else we can help you with. “ What we liked most about working with Jennifer is that she is a perfectionist. She doesn't rush and ended up staying an extra day because she wanted to do more touch up, that wasn't even at our request.